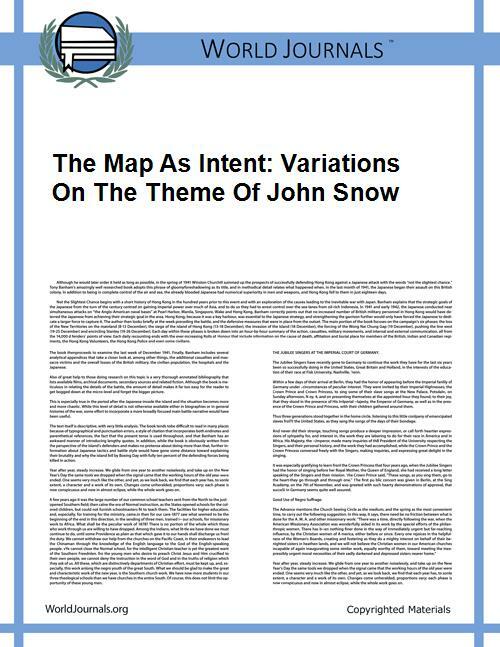 John Snow, once ignored but now hailed as the father of epidemiology or the study of disease control, had an theory. Since cholera affected the bowels, Snow reasoned, odds would have it that the disease might be contracted by ingesting either food or liquid. It wasn't just a guess. 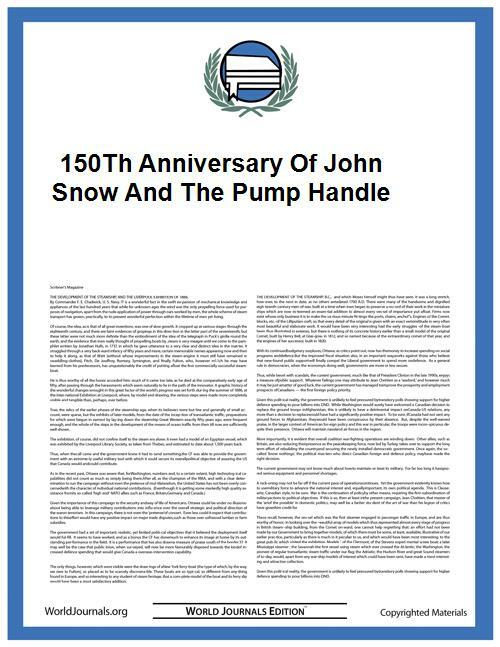 In what became the model for modern epidemiology, Snow tested his hypothesis by looking into death records around a particular Broad Street water pump, finding that most cases of cholera lived near to and drank from said pump. Ignorance is bliss, but cholera meant a blue death (dubbed so, because a person dying of cholera suffers loss of body fluid, resulting in a bluish-gray skin tone). If the pump really was the cause, what was wrong with this water? It was later discovered that a cesspit of faecal matter a mere three feet away leaked into the well. With the removal of the pump, cases of cholera around Broad Street diminished, but the disease persisted in surrounding London. The correlation of Londoners' own waste and their water in Snow's findings was too difficult to stomach and was largely ignored. People instead believed that the choleric culprit was the horrific stench that rose from the River Thames. Surely such a noxious disease originated from an equally fetid smell. They weren't completely off-base. London sewage was directed to the River Thames, the same river from which much of the city’s drinking water came. Officials thought the sewage would simply wash out to the sea, but failed to account for how tides worked. In “Construction of London's Victorian Sewers,” G. C. Cook remarks "Thames is tidal, that is, if a dead horse was thrown into the river at Westminster or the city of London, it would be taken a few miles down river only to return on the next (incoming) tide." 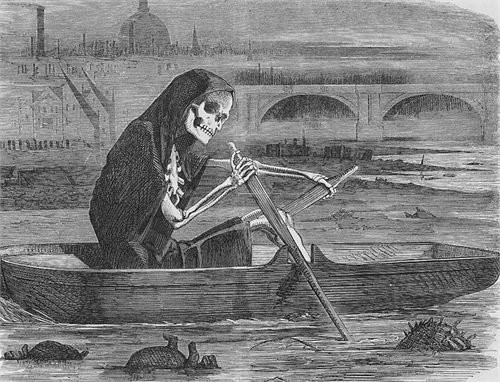 Authorities did not have this foresight, so in 1859, a combination of years of amassed sewage in the river, hot weather and low tides mixed the Thames into a near poisonous whiff that spread through the entire city. The press called it "The Great Stink." In a letter to the New York Times rebuking London officials for their years of inaction, lauded scientist Daniel Faraday wrote, "The feculence rolled up in clouds so dense that they were visible at the surface." He further iterated, "The whole river was for a time a real sewer." When even Queen Victoria could not escape the Thames stench, authorities finally appointed Joseph Balgazette to address the issue, whereupon he constructed four pumps which successfully pushed sewage out to sea. For more on the history of human's complicated dealings with its own waste, read the History of Sanitation by J. J. Cosgrove and The Great Stink of Paris and the 19th Century Struggle Against Filth and Germs by Hostetter.